Apple's latest iPad Pros are gorgeous and impressively powerful. 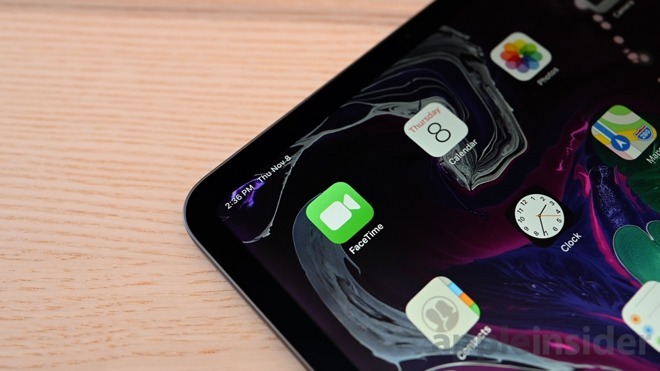 Because of this massive overhaul, we are likely to see more new iPad purchases than we've seen in a long time, and we've got an assortment of tips and tricks to really flex the might of the new models. 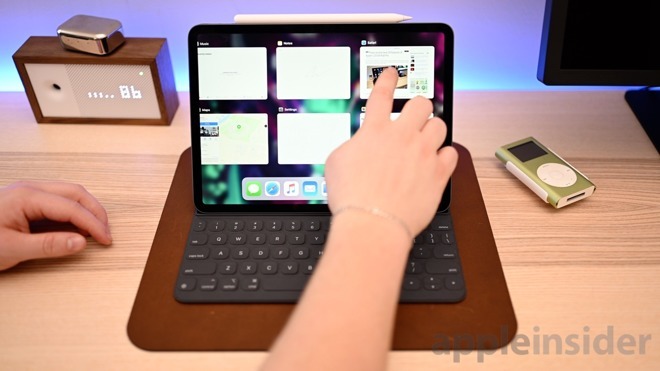 Whether you are a seasoned user, recent updater, or new adopter, here are some tips, tricks, and knowledge tidbits to consider before you buy a new iPad Pro, and once you do, to get the most out of it. Before you buy, consider which model first. 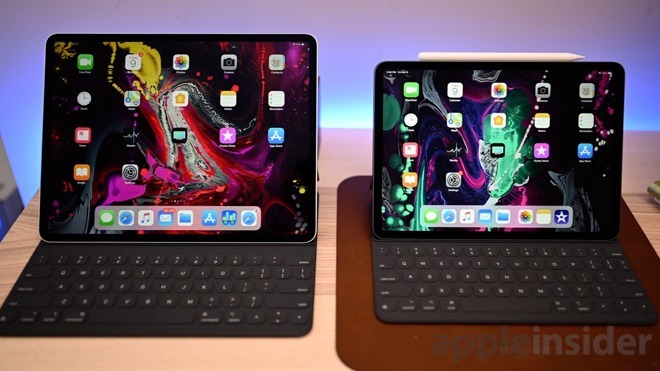 The 2018 iPad Pros generally come with 4GB of RAM, with a notable exception —the 1TB configurations of the 11- and 12.9-inch tablets comes equipped with 6GB of RAM. RAM can be useful when dealing with copious amounts of multitasking or endless open Safari tabs amongst other aspects. If you want to max out your potential, go for the 1TB option and get a bonus 2GB of memory. Apple has a newfound focus on external video with the latest tablets. 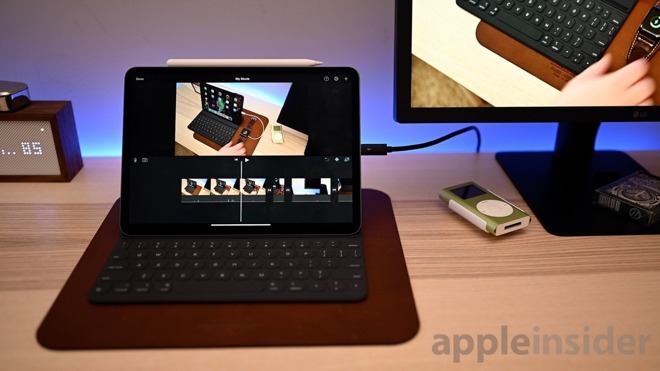 With the new 2018 iPad Pro, you can readily connect widely available external 4K monitors through USB-C to HDMI or DisplayPort connectors on the display. Developers can also display different content on the second display. For example, in iMovie, you can preview your project in uncompressed 4K while you edit. We expect many developers to take more advantage of this over time, coming up with creative solutions for that connected monitor. That USB-C port on the bottom of the iPad has a bunch of advantages. One of the being you can charge your iPhone through it. Even though Apple highlighted charging iPhone, you aren't limited to purely your handset. Most mobile gear can be powered up. 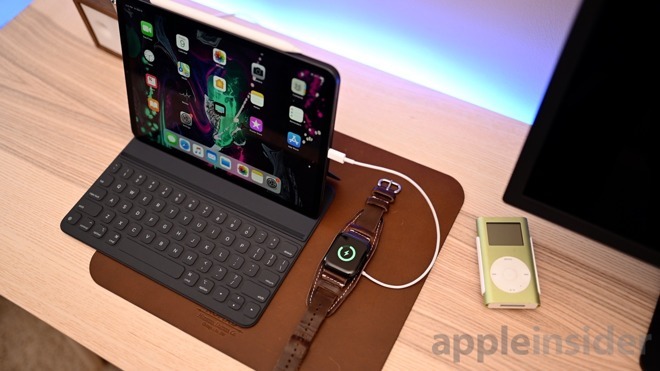 Your Apple Watch, AirPods, headphones, all can draw juice from iPad's massive battery. This doesn't have to be a constant solution to your charging woes, but available in a pinch. Heading out for the day or the weekend and have your iPad? That should provide enough juice to give your phone and watch enough needed battery and still leave plenty left for your iPad. The new Liquid Retina display is equipped with Tap to Wake for the first time on an iPad. It makes waking the iPad (especially with the lack of Home button) all the more easier. If you have Apple Pencil though, you can easily tap the screen to immediately wake the display and launch the Notes app. You don't even have to unlock your device first — of course you will before accessing anything else on the device. This was possible on the previous iPads with Apple Pencil support too, but it is so useful we wanted to mention it once more. Now that the Home button has gone the way of the dodo, it is more important than ever to familiarize yourself with all the gestures on iPad. To start, a continuous swipe up from the bottom takes you to the Home screen. Swipe up halfway and pause invokes the app switcher. When in an app, swipe up just a half inch or so to access the dock. Control Center is still opened from swiping down from the top right corner. Swipe left or right on the bottom lets you jump between apps. Apple also has different ways of doing the same thing, which can be useful or unnecessarily confusing depending on who you are. You can pinch in the center to go the home screen. You can push up with four fingers to jump into the multitasking interface. Physical buttons need re-mapped too, in similar fashion to the iPhone. Hold the on/off button to summon Siri (instead of the Home button). Press the on/off button and volume up button to quickly take a screenshot. Hold the on/off and volume up button to turn off your iPad. 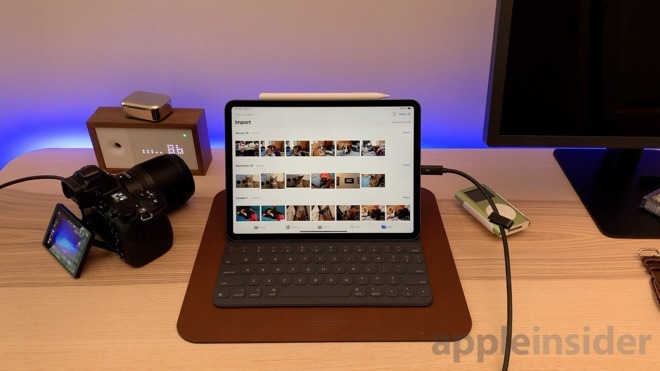 Thanks once more to USB-C, your camera can be connected directly to your iPad. If you've got a newer camera that has a USB-C port (like the Nikon Z7 It is even easier. If your camera instead has a micro USB port, you can pick up a cheap micro USB to USB-C cable to get the job done. 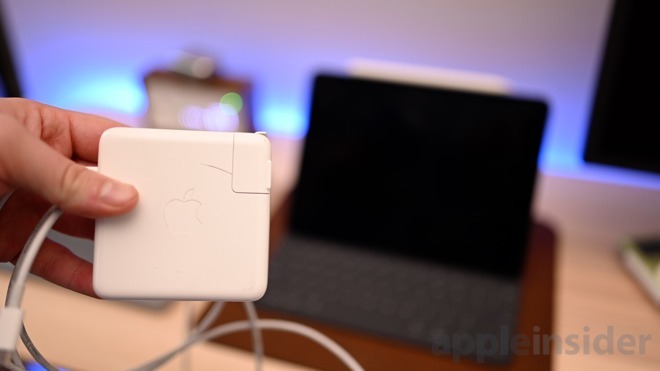 No longer do you need to carry around Apple's Lightning to USB adapter, though a USB-C to USB-A adapter is still available if you choose to go that route. 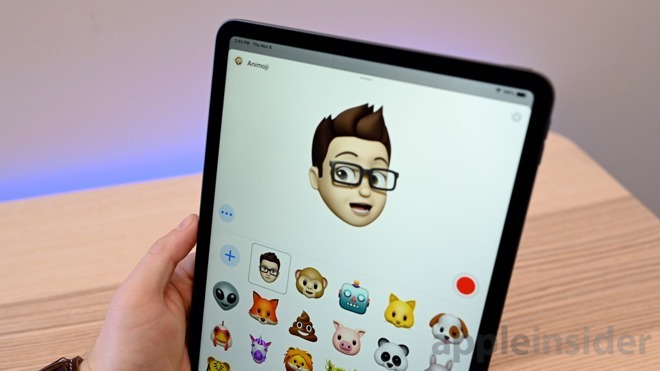 Apple's fun and colorful Animoji characters come to iPad for the first time. Previous an iPhone exclusive, these creative outlets live within iMessage and let you record up to a 30 second message to send to others. Using the new True Depth camera system (primarily utilized by Face ID), it maps several muscles on your face to replicate your facial movements, head tilts, tongue, and blinks. Memoji also joins Animoji, which instead of choosing from a playful character, you can create your own avatar that either looks just like you, or completely wild. Instead of recording a clip, you can also strike a pose, and drag your character to the conversation as a sticker. Apple (finally) upgraded the in-box charger to 18W rather than the dinky 12W wall charger from the past. This certainly will help you power up quicker. but there are better options. If you have a somewhat recent Mac lying around, you likely have a 29W, 60W, or 87W USB-C charging brick lying around. Just plug that into your new iPad to gain battery percentage points even quicker. And no, this won't damage your iPad's battery. Many users out there still use iPad as a shared resource within their home. Using Touch ID, each person in the family could register a finger to unlock the tablet with ease. Face ID makes that a bit more difficult, but luckily, iOS 12 offers some help in this regard. Alternate Appearance was a new feature baked into iOS 12 and lets a second face be registered to a device. If a married couple each use an iPad, now each of their faces can unlock it. It isn't the same as the five fingers Touch ID would support, but it's a start. Apple authorized resellers offer a variety of perks on iPad Pro purchases, including no sales tax on orders shipped outside New York and New Jersey at Adorama and free shipping within the contiguous U.S. Shoppers can also take advantage of financing incentives with the Adorama Credit Card, such as no interest when paid in full within six months on iPad Pro orders over $500 —or no interest when paid in full within 12 months on iPad Pros over $1,000. With the holidays fast approaching, having a little extra time to pay off the purchase can be beneficial.